Last week, we covered most of the position players as part of our positional power rankings. Earlier today, Meg Rowley covered right fielders, before Kiley McDaniel took you through the 16th-through-30th ranked rotations. Now, we get to the good stuff. The American League comes out firing on the top 15 list with the first three entrants made up of the reigning kings of the West and Central, as well as this year’s projected East champion. The Senior Circuit takes over from there, with seven of the next nine rotations, including two from the East and three from the Central divisions. Those staffs have been the talk of the offseason, as the top four in the NL East are all contenders to win the division while all five NL Central clubs could carve out a realistic scenario that finds them atop the group and headed to the playoffs. 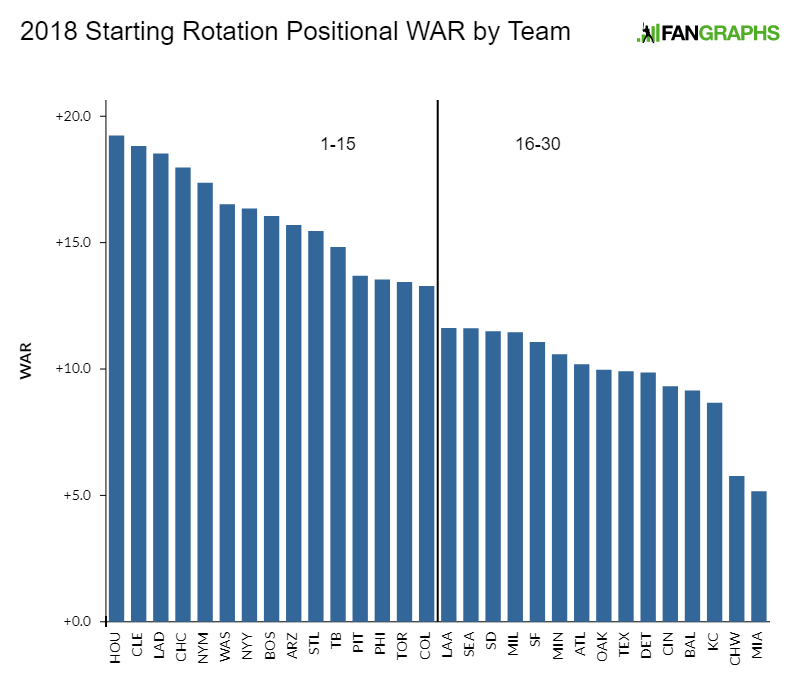 The ever-dwindling workloads of starters are made clear as just six pitchers are projected for 200-plus innings; meanwhile, six clubs have just one (or fewer) arms tabbed for even 180 frames. The No. 2 ranked team doesn’t get anyone to 175, yet their depth is on display with six guys who could capably put up 100-plus innings. On the other end, some teams made this list purely on the strength of their top five, so any injuries could be catastrophic to their season outlook. 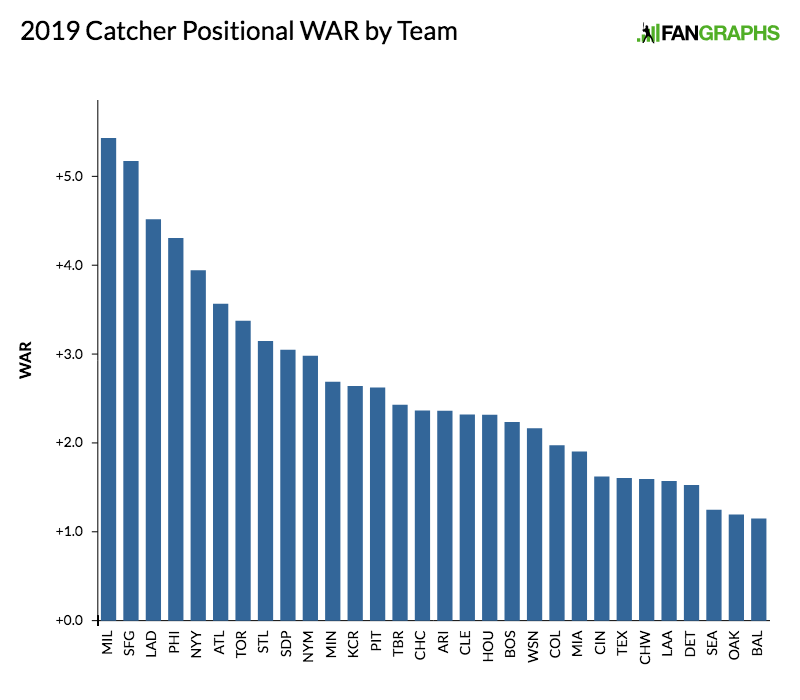 It’s probably a safe bet that at least one of the arms on here with a sub-70 inning projection ends up delivering 130-plus in a breakout campaign, but without a crystal ball to identify which injuries will create such a path, it’s hard to know exactly who that will be right now. My guesses would include Domingo German, Seth Lugo, Jordan Lyles, and Jerad Eickhoff. Last year’s were Walker Buehler, Jack Flaherty, and Zach Eflin, which perhaps means that I should include prospects Forrest Whitley and Alex Reyes, but they almost feel too easy. Who is your favorite breakout pitcher on these 15 teams, and which is your favorite team in the 11-15 range to break the top 5? The mainstays atop the list aren’t going to shock you. It’s the cream of the crop, including both of last season’s World Series entrants, within the top three. Two American League teams open up the list then the National League has four of the top six; of the American League’s top five, three come from the East division. 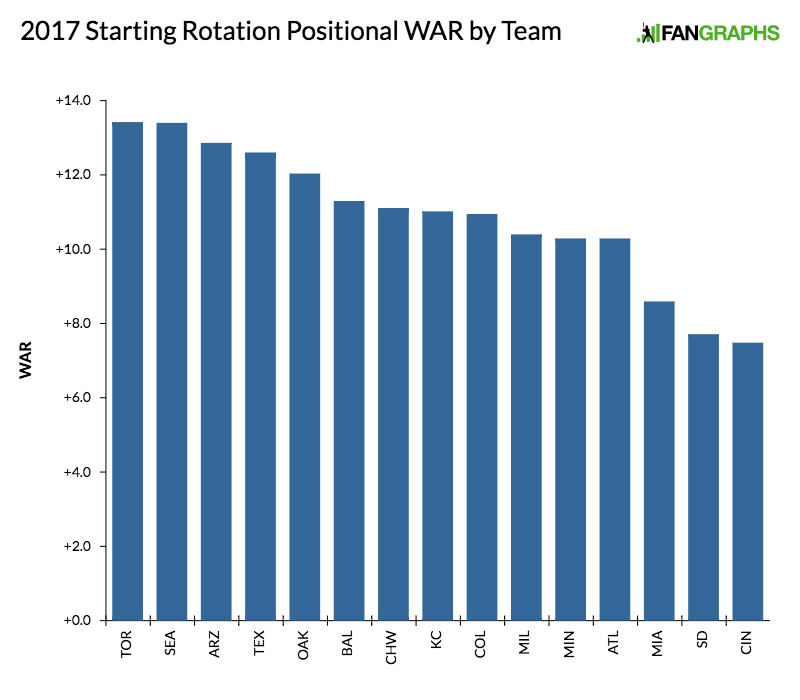 Perhaps most shocking of all is the Rockies landing in the top 15, as they’ve developed a nice group of arms. The two Pennsylvania-based teams could have enough pitching to make some noise this year, and a fourth AL East team sneaks in right near the end. What we have here is a little bit of the leftover wheat from the top group and then a whole lot of chaff. I’m not even sure what chaff is and yet I’m certain that it accurately describes Jered Weaver at this point. Fear not, Padres fans, he was simply suffering through some dead arm (for what, the last two-plus years?!) when he posted that 2.44 ERA in the Cactus League. Wait nevermind, that 2.44 was his WHIP. 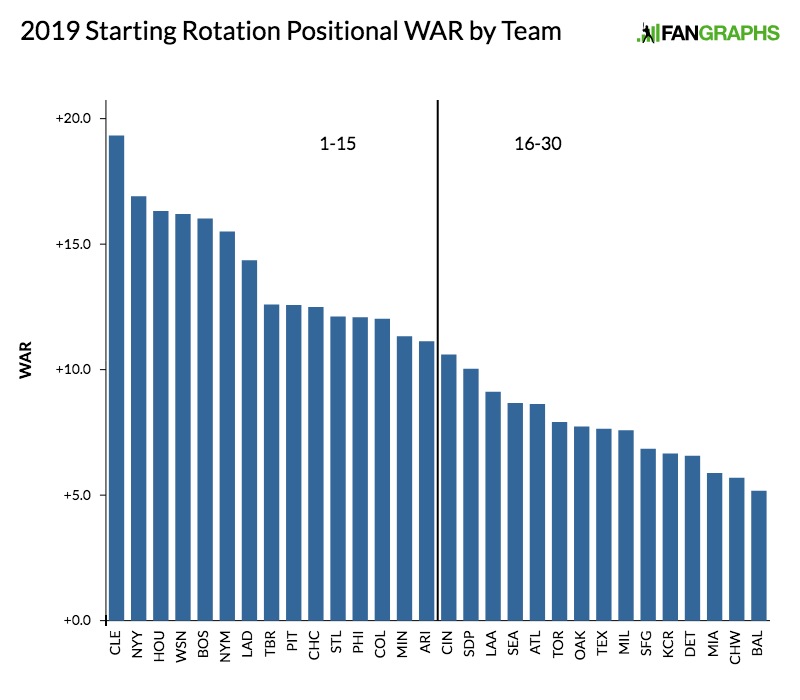 There is some fun in knowing that one or two teams within this set of rotations will emerge as top-10 rotations, just as the Blue Jays and Phillies did a year ago. Now the Phillies are already in the top 15 and the Blue Jays vacillated between 14 and 16 as the updates rolled through while I wrote this. My predictions to rise up are the Diamondbacks and Braves. December 17, 2012: Noah Syndergaard traded by the Toronto Blue Jays with Wuilmer Becerra (minors), John Buck and Travis d’Arnaud to the New York Mets for R.A. Dickey, Mike Nickeas and Josh Thole. Sorry, Jays fans. That’s mean, but just imagine a Thor-Sanchez-Stroman top three in Toronto. Aaron Sanchez converted to the rotation full time, packed on some muscle, and simply led the AL in ERA over 192 innings. Originally facing an innings limit, the Jays relented and kept Sanchez in the rotation all year. He leans heavily on an elite power sinker that befuddles lefties and righties with aplomb. 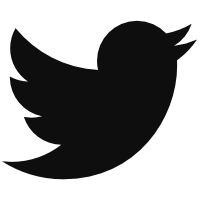 Chat will start around 12 PM central! !